They’re an art form all their own. Endpapers are often overlooked—an over-eager reader can breeze by even the most striking—but they’re an art form with a history all their own. For centuries, designers have taken the formal necessity of joining a book’s pages to its cover and turned it into an opportunity for creativity. Not every designer is excited about endpapers, but those who are can use it to elevate the beauty of any book. When a book is made, one side of an endpaper (sometimes also called an endpage or endleaf) is pasted into the inside of the book’s cover; the other side is the first page of the book. “Endpapers quite literally hold a book together,” says Staake. Originally, they were made of white paper, sometimes scrap leftover from other uses, or of more sturdy vellum, a thin parchment made of animal skin. 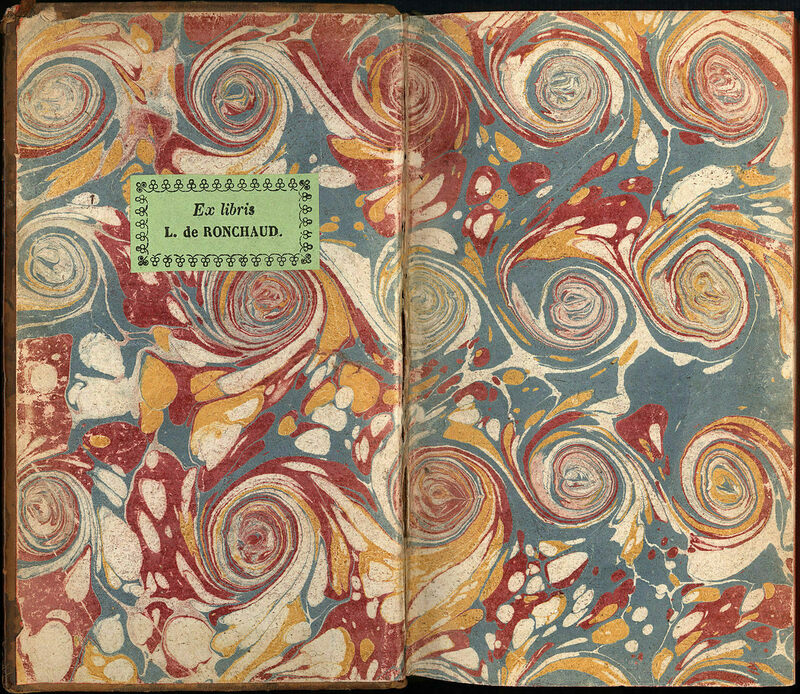 But in the 18th century, after techniques of marbling had come to Europe from Turkey and Iran, European bookmakers started decorating them with French curls, Dutch combed patterns, classic Turkish stone motifs, and a swirling varieties of other patterns. When block printing became possible in the 19th century and bookbinding was mechanized in the 1830s, the style of decorative endpapers changed. Now these pages were covered in wallpaper-like, repetitive patterns, “often made from printers’ ornaments,” according to the Salem Athenaeum. Those images developed into softer, more ornate patterns of flowers, ferns, and other natural themes. 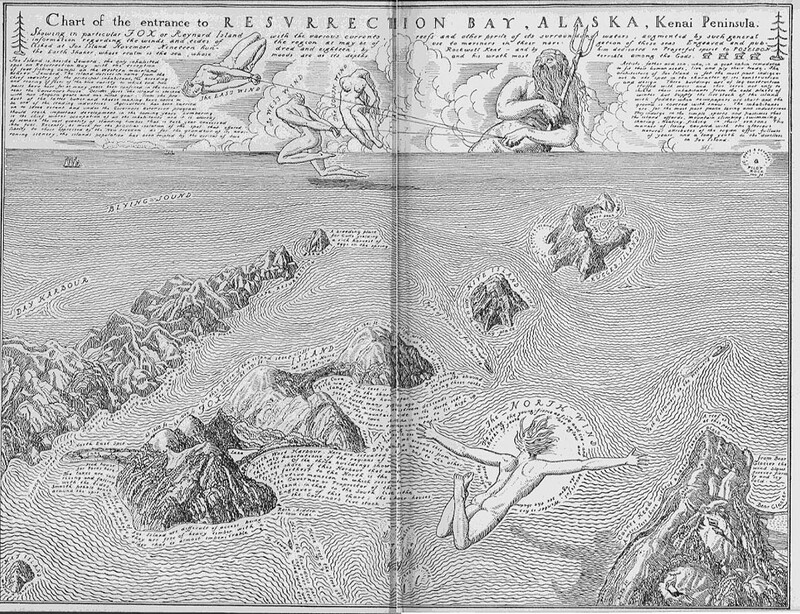 Endpaper space might be used to publish a map of the place where a book takes place, whether real or fictive, or it could be used to illustrate a book’s theme. Tucked inside, endpapers can also be bolder than a book’s outside: “They aren’t thrust into the limelight like the cover and spine, and therefore can push the boundaries more,” writes Dunn. 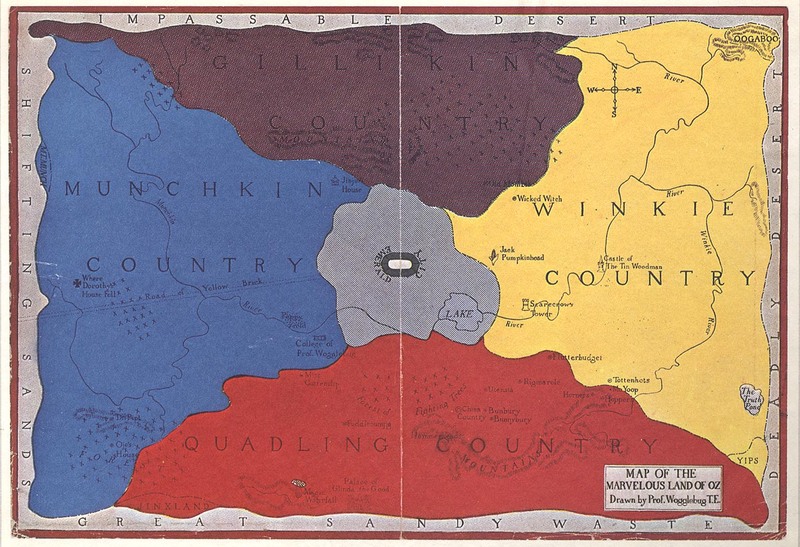 Sometimes limited run editions of a book will have hand-painted endpapers; some rare books are snapped up primarily because of their endpapers. Endpapers can contribute to telling a story even if they’re not illustrated: a red endpaper at the front of a book might communicate the heat of the sun, and a blue endpaper at the back, the cooling rain that ended the drought. And if the endpaper can include an image, the creative possibilities are as varied as books themselves, as this collection shows. Endpapers can be titillating, they can be bright and bold, they can draw you in with a wealth of detail. When Staake creates endpapers for his own books, he likes to riff on the tradition of repetitive wallpaper patterns, drawing in themes and characters from the books themselves.